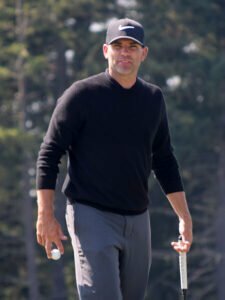 This month we interview Bryce Fisher, first-time PNW PGA champion! Learn a little about the 2018 PNW Assistant PGA Champion. Tell us a little bit about your career. Who or what inspired you to be a PGA Professional? Golf and sports in general has always been a big part of my life. I grew up in a golfing family. The game has blessed me and my family in many ways. I feel very lucky to be able to play the game regularly. Post college golf, I turned professional and went on to play full-time for a couple years. After getting married in 2006, I hung the clubs up to be able to see my family more often. Eight years and two beautiful daughters later, the Lord blessed my family with the opportunity to purchase Arrowhead Golf club in January of 2015. I was able to dust my clubs off and start playing again. I’ve had a great time playing golf again the last 3 years. My brother Robert and I both decided to start playing as part of the Section, along with my longtime friend David Brown in 2016. It allowed for my dream situation, play golf competitively as a professional AND get to see my wife and tuck my kids into bed daily. Congrats on your first Section win! What is it like to make your first win at this level? It feels great! Nice to get a win under my belt. I have a lot of respect for all of the guys out here. Favorite sports team, pro or college? I don’t have one specific favorite, I just love watching great sporting events. Thank you, Bryce Fisher! We hope to see you at more PNW PGA tournaments.